The Legion of Super-Heroes is a fictional superhero team in the 30th and 31st centuries of the DC Comics Universe. 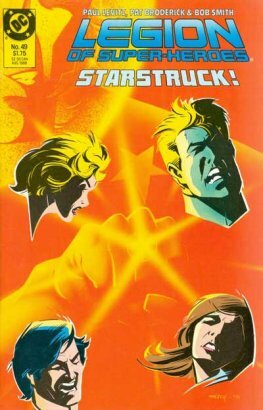 The team first appears in Adventure Comics #247 (April 1958), and was created by Otto Binder and Al Plastino. Initially, the team was closely associated with the original Superboy (Superman when he was a teenager), and was first portrayed as a group of time travelers who frequently visited him. 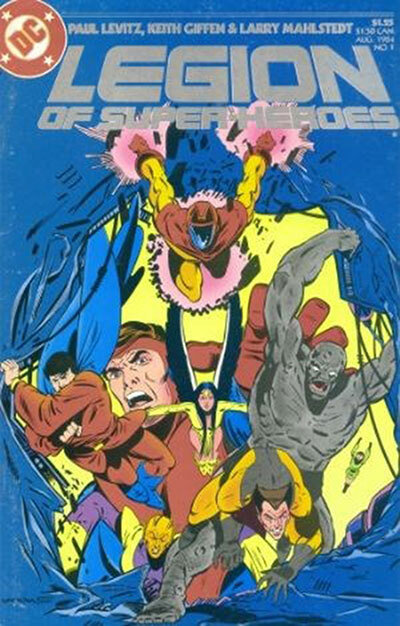 In later years, the Legion's origin and back story were fleshed out, and the group was given prominence on par with Superboy's in a monthly comic. Eventually, Superboy was removed altogether, except as an occasional guest star. The team has undergone two major reboots during its publication. 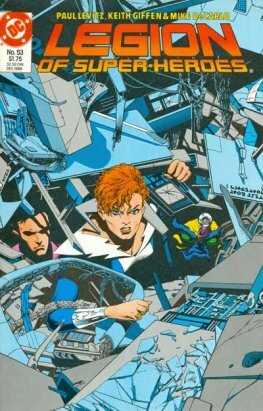 The original version was replaced with a new rebooted version following the events of "Zero Hour" in 1994 and another rebooted team was introduced in 2004. A fourth version of the team, nearly identical to the original version, was introduced in 2007.